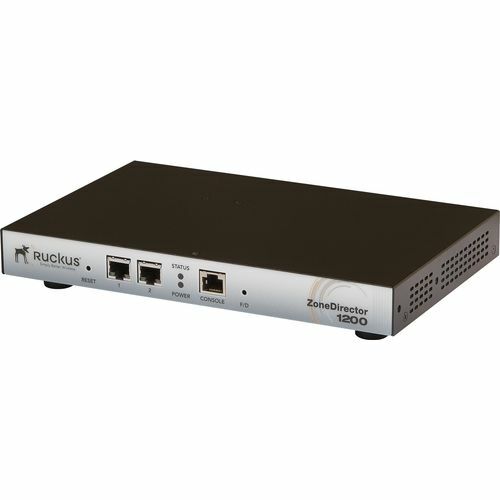 The Ruckus Wireless ZoneDirector 1200 is Ruckus centrally managed Smart Wireless LAN (WLAN) system developed specifically for small-to-medium enterprises (SMEs). The ZoneDirector 1200 is also perfect for businesses who want to offer services such as voice over Wi-Fi, IP-based video, secure enterprise access and tiered Wi-Fi services in venues such as hotels, airports, schools and public buildings. The Ruckus ZoneDirector 1200 can be deployed and operated by non-wireless experts and installed quickly and easily. Any organization with limited IT staff and budget can create a robust and secure multimedia WLAN in a matter of minutes.